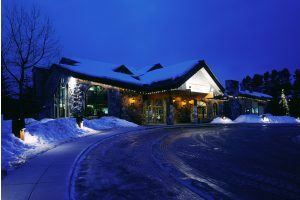 The Lake Louise Inn is located a few minutes walk to the centre of Lake Louise village. 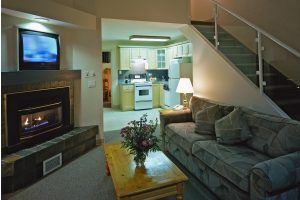 There are 247 units and the Lake Louise Inn is the only Lake Louise ski accommodation with self catering apartment style units. The Lake Louise Inn is the closest hotel to the Lake Louise Ski Area at about 5 minutes onboard the complimentary Lake Louise village shuttle bus. The ski shuttle leaves from the front of the hotel. Contact us for more information or to book this Lake Louise hotel. Larger apartment style units such as the Bighorn Loft Suite pictured below, can accommodate up to 8 people. These units are perfect for families.